Add a few more years, however, and players are thought to be, if not quite over-the-hill, certainly nearing the brow. And yet, in an era of conditioning coaches, nutritionists and all-round enhanced professionalism it seems rash to write off a player who could have another five years in him. Consider Danny Rowe, briefly a team-mate of Vardy at Fleetwood Town. Rowe is the most prolific scorer in the Vanarama League having scored more than 150 goals for AFC Fylde in the past five seasons. This has been noticed. Oldham bid £50,000 for him in summer 2017. Cheltenham bid £175,000 in summer 2018. On both occasions Fylde, only a dozen years out of the West Lancashire League, turned the bids down. Though Rowe is keen to play in the Football League he accepted the decisions and kept on scoring. The dream of both player and club is to go up together. 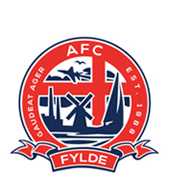 At the weekend Rowe scored goals number 20 and 21 this season as Fylde won 2-1 at promotion rivals Solihull Moors. That followed the 48 goals in Vanarama National League North in 2016-17, which propelled the Coasters to promotion, and 28 goals last season as Fylde reached the play-offs. If Rowe seems in as much a hurry as his club it is with good reason. Time is not on his side. On January 29 Rowe enjoyed his 30th birthday, a questionable landmark in an industry which confers veteran status on 30-somethings. However, in playing terms he is not so ancient. A prodigious scorer as a boy, so much so he joined Manchester United at 11, Rowe quit the game at 16, released by United after falling out of love with the grind. He took up a joinery course and played for fun, at amateur level. Soon the goals began to flow again. Fleetwood signed him, but while he did OK on loan to Droylsden and Stockport he failed to score for Fleetwood. They preferred Vardy, though Rowe occasionally played alongside the future England international in 2012. If Rowe and Fylde win promotion to the Football League, it will be just reward.